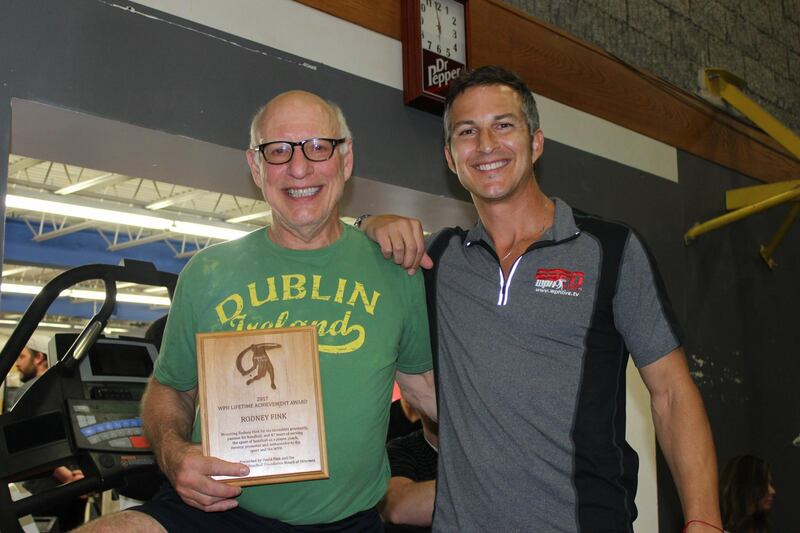 RFC tournament namesake Rodney Fink was awarded with the WPH’s Lifetime Achievement Award for 47 years of serving as a player, coach, ambassador and promoter of the sport of handball and for all he has done for the WPH. Surrounded by his three grandchildren, two children and most of his best friends, RFC, as he’s known, was thrilled with the honor. “The first time I played this game 47 years ago I had a religious experience and I’ve played the game five times a week since that day,” stated RFC. 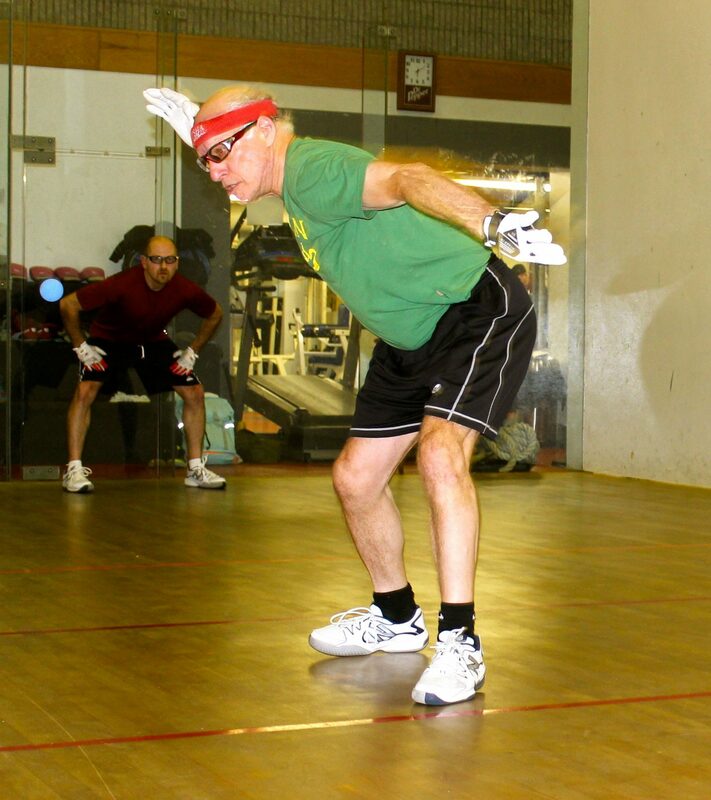 The World Players of Handball is a non-profit 501(c)3 Foundation that relies on support from handball players and fans. At times, there are those who go over and beyond to help the sport grow and the WPH would like to highlight those over-achievers with special Spotlight Awards. 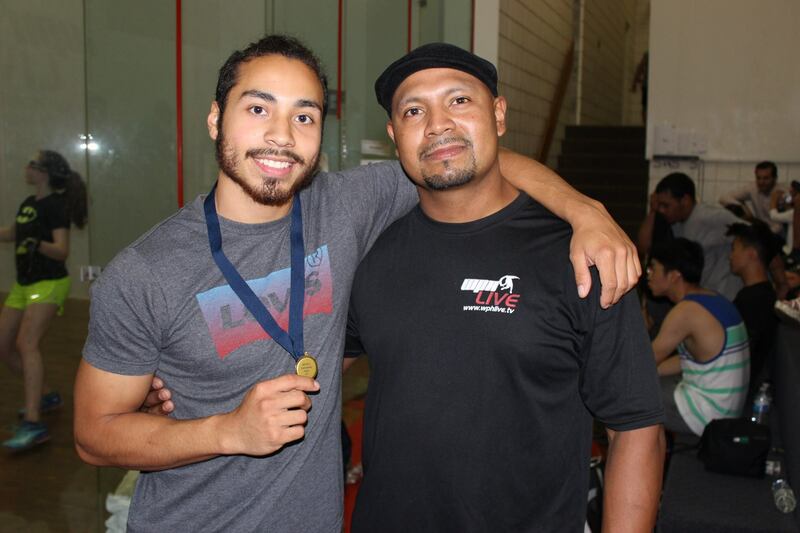 The spotlight recognizes the incredible time and effort people and athletes put into our incredible game; to include individuals who achieve greatness on the court, while meeting milestones, acting as role models, and leading a strong and healthy life. Summary: Rodney Fink is the proud father of R48 #1 David Fink, while also being one of the WPH’s most enthusiastic and generous supporters. From sponsoring R48 pros to attend tournaments to donating to the WPH and serving as a top R48 referee, Rodney Fink is the total fan package. When he is not supporting the WPH, Fink is an accomplished former open player and current master’s player, owning an undefeated tournament record in 2017 with four titles! Wow! The WPH is very fortunate to have Rodney Fink on our team. Thank you!